Join us in supporting our local nonprofits on #GiveOzarks Day, Tuesday, May 9th. Over the past two years, over $2.2 million has been raised on this single day, providing support and services for organizations across the Ozarks! 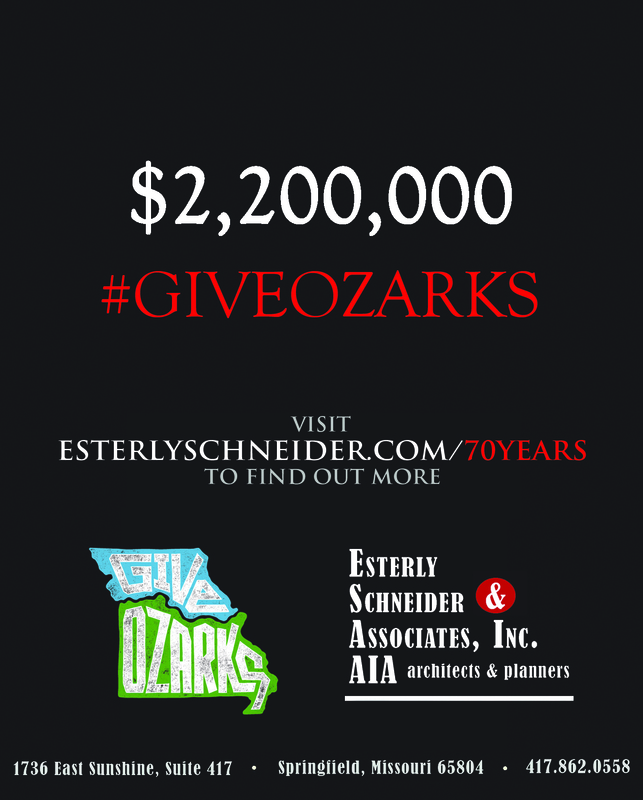 There are many great reasons to give and 250 deserving organizations taking part in this effort, presented by the Community Foundation of the Ozarks. Join us and help Springfield Little Theatre to repair the basement walls and support beams to end water infiltration, the Discovery Center to provide STEM education programs and scholarships, Developmental Center of the Ozarks to give children with special needs the opportunity to learn, CASA of Southwest Missouri to recruit and train volunteers, NAMI to grow their endowment fund, the Springfield Art Museum to “Revamp the Amp,” and help to “Raise the Roof” through Habitat for Humanity. These are just a few of the many opportunities available to support on this local day of giving: So visit www.giveozarks.org anytime between 12am-11:59pm on May 9th and help make a difference in our community!